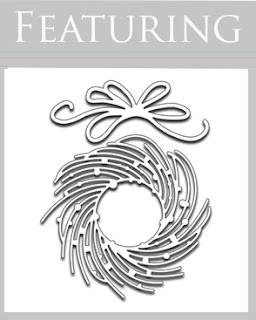 My mind was "whirling" with ideas for my next POV using "Whirl Wreath". I fell in love with the swooping circular design of this die cut and decided to complement the image by using a round card base. The green wreath portion was elevated with a tiny bit of dimensional foam above a small window containing the sentiment. 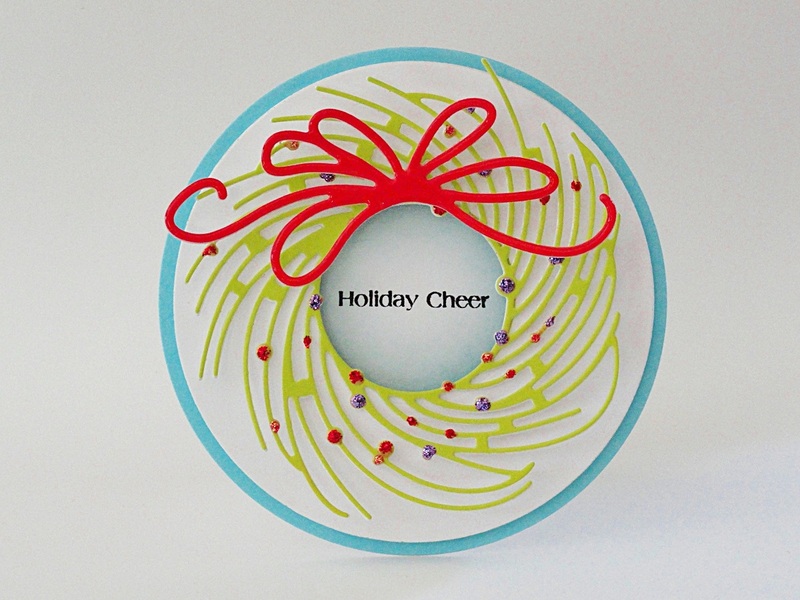 Multiple colors of Stickles were used to accent the wreath. The bow was embellished with a coat of Glossy Accents to give it an enamel appearance.